Sewing the Orla top? Next up in the sewalong is making the neckline facing, which will create a neat finish to both the neckline and the zip opening on the inside of the top. We’ll also sew the side seams at the end of this post. 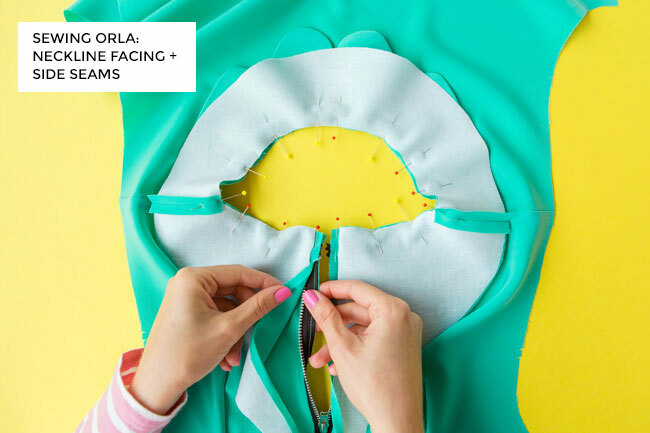 If you haven’t started the Orla sewalong yet and fancy joining in, you can order your pattern in the shop and catch up on the steps. You should have one front neckline facing and two back neckline facing pieces, all interfaced apart from a 5mm strip along the long straight edge of each back piece. 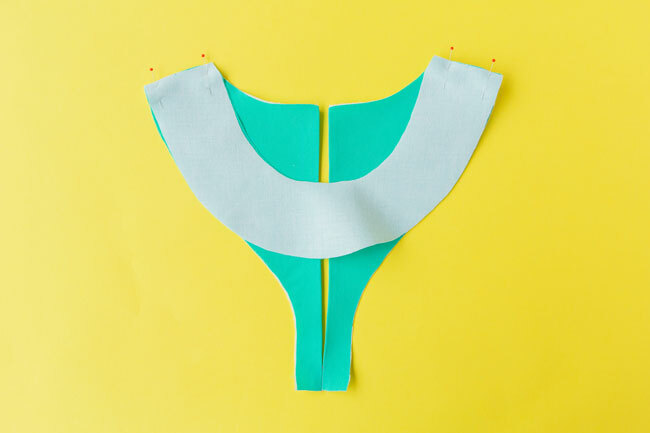 Place the back neckline facings right sides together and pin the bottom of the long straight edges. Mark a point 25mm (1in) up from the bottom. Using a 5mm (1/4in) seam allowance, stitch the facings together from this point down to the bottom. Press the seam allowances open all the way up the back opening, including above the stitching line. You can use the edge of the interfacing as a guide. Pin the front and back neckline facings together at the shoulder seams, right sides together, matching the notches. Stitch. Trim the seam allowances and press them open. You can finish the outside edge of the neckline facing if you want to, using zigzag stitch or an overlocker, or pressing the edge under and topstitching it down. I haven’t finished the neckline facing on mine because the fabric is fine and the thread adds bulk – I think it looks neater without in this case. The fabric shouldn’t fray because it’s interfaced. Open the zip. Lay the facing over the bodice, right sides together. Pin them together around the neckline, matching the notches and shoulder seams. If you’ve made the collar, it should be sandwiched between the layers. 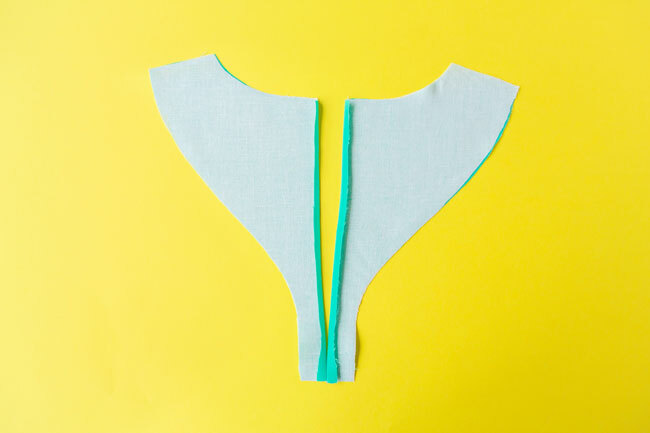 Temporarily fold the zip tapes and the back opening seam allowances on the bodice and the facing flat - if you’ve added the collar, you may need to unpick a couple of tacking stitches at the back. 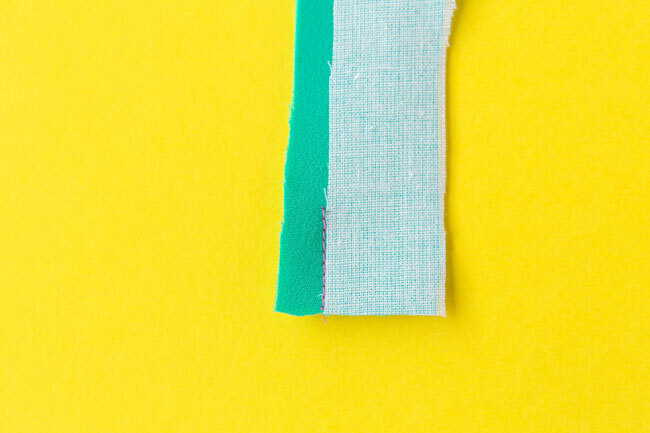 Pin the back edges of the facing to the flattened zip tapes and back opening seam allowances, lining them up at the edges. Change the presser foot on your machine to a zip foot or adjustable zip foot. 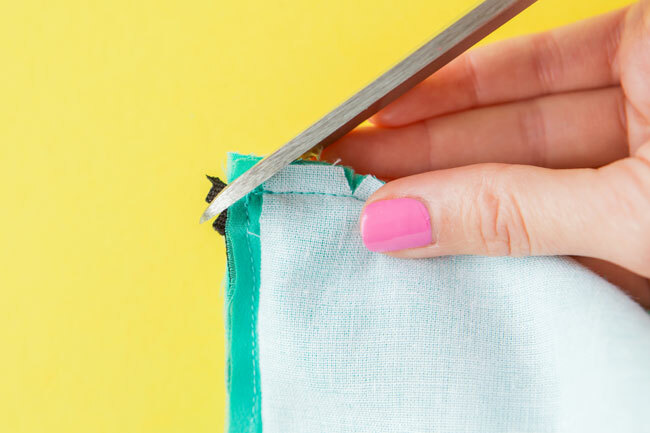 Now stitch the back edge of the facing to the zip tape and bodice on each side using a 5mm (1/4in) seam allowance – you can use the edge of the interfacing as a guide. Take your time to keep the seam allowance nice and even, and sew as far down as you can go before the zip pull gets in the way. Turn the facing to the inside of the top temporarily, wrong sides together, and do the zip tape up. Is an even amount of zip tape showing on each side? If you’re not happy with your first attempt, measure the difference and restitch to even them out. Also check that the original zip stitching lines – from when you first attached the zip to the bodice – aren’t visible when the facing is turned to the inside. You could unpick them or restitch the facing again using a slightly wider seam allowance. Turn the facing back to the outside, right sides together. Trim the seam allowances at the neckline. Clip short snips into the curves, being careful not to snip through the stitching line. This will help open out the seam allowance when the facing is turned to the inside. Press the facing (but not the collar) away from the neckline and towards the seam allowances. Holding the fabric taut either side of the seam, understitch the facing to the seam allowances close to the seam line, as far as you can go (you won’t be able to get into the corners). Understitching means stitching a facing to a seam allowance to help keep it on the inside of the garment. If you made the collar, take care to keep it out of the way during this bit. Snip diagonally across the corners at the top of the zip opening, through all layers including any flappy bits of zip tape, being careful not to snip through the stitching at the corner. 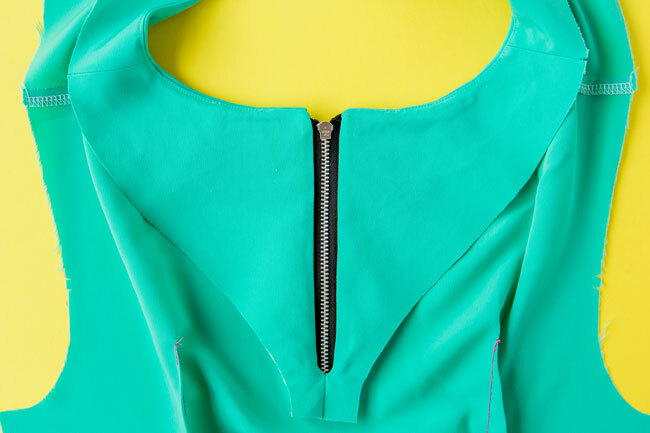 Turn the facing to the inside of the bodice, wrong sides together, and do the zip up. Press, rolling the neckline seam slightly to the inside, pressing the collar to the right side if you made it, and gently pressing the facing away from the zip. If the facing wants to pop out at the neckline, you can secure it to the inside of the bodice with some hand stitches hidden in the shoulder seam. You can also stitch the bottom of the zip tapes to the facing if you like. Lay the front bodice on top of the back bodice, right sides together. 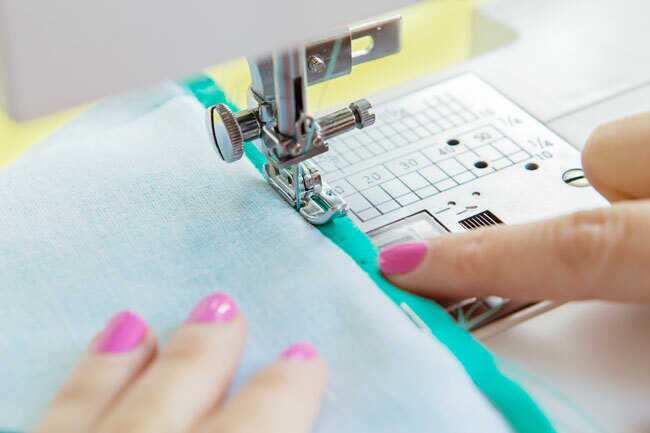 Now would be a good time to try on your top and adjust the seams if you prefer a closer or looser fit – so pin the side seams along the stitching lines, parallel to and 15mm (5/8in) in from the raw edges, matching the notches. 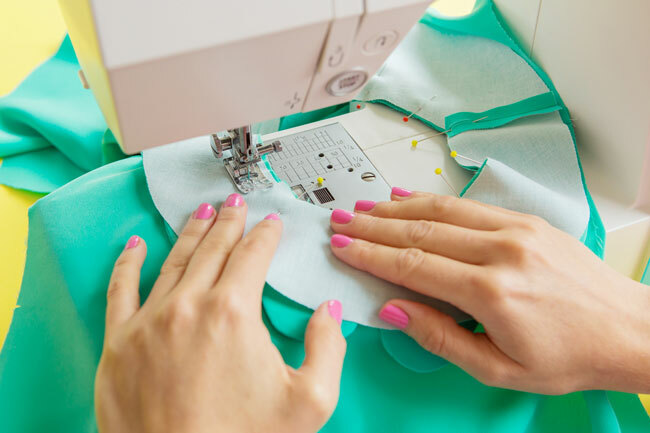 A little time-saving tip: On the right side seam, insert the pins from the front bodice, with the pin heads towards the bottom; on the left side seam, insert the pins from the back bodice, with the pin heads towards the bottom. 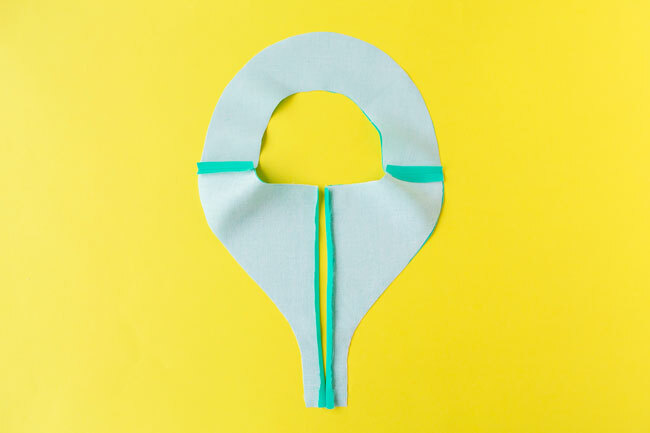 That way, when it comes to sewing, from the underarm downwards, the pins will be on the side you’ll be sewing on and you can pull them out from the head just before the needle gets to them. 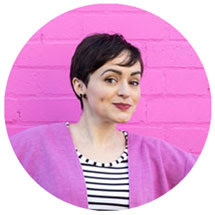 Now you can try the top on inside out (assuming your torso is asymmetric!) and adjust the position of the pins to mark the new stitching line if you need to. 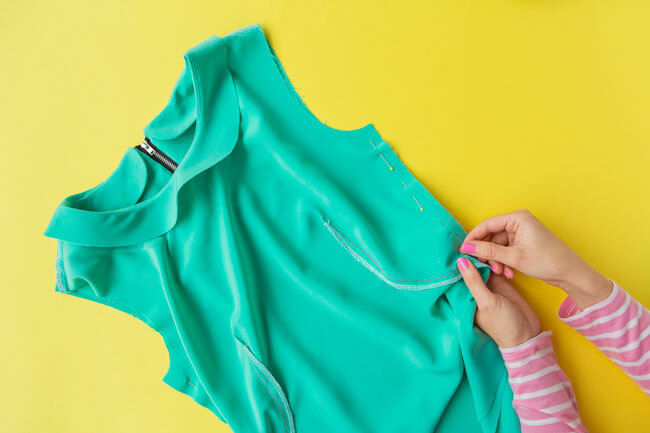 The Orla top isn’t meant to be too tight, so don’t go crazy fitting it :) It’s best not to move the stitching lines at the underarms if you can help it, or at least not by much, as this will affect how the sleeves go in. 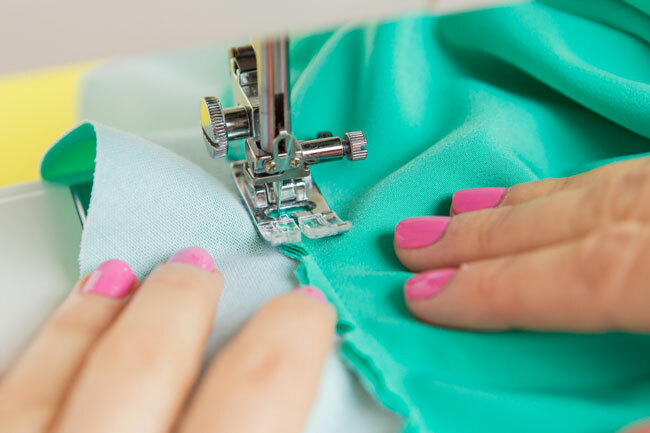 Also be aware that if you change the side seam at the hem, you’ll need to take in or let out the hem facing side seams to match. Do-able - just something to remember. Stitch the side seams from the top down, following the pins as a guide. 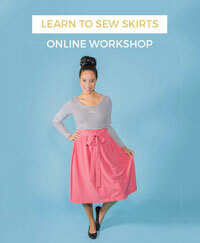 Trim the seam allowances and finish them with zigzag stitch or an overlocker. Press the seam allowances either open or towards the back. Take a well-earned break, fix yourself a cuppa, and in the next post we’ll insert the sleeves!